Cinecittà is to Rome what Hollywood is to Los Angeles: a city of dreams and fiction. However, rather than a huge film business, Cinecittà is a highly revered institution. It became such in the 1960s when legendary film director Federico Fellini made it his second home. 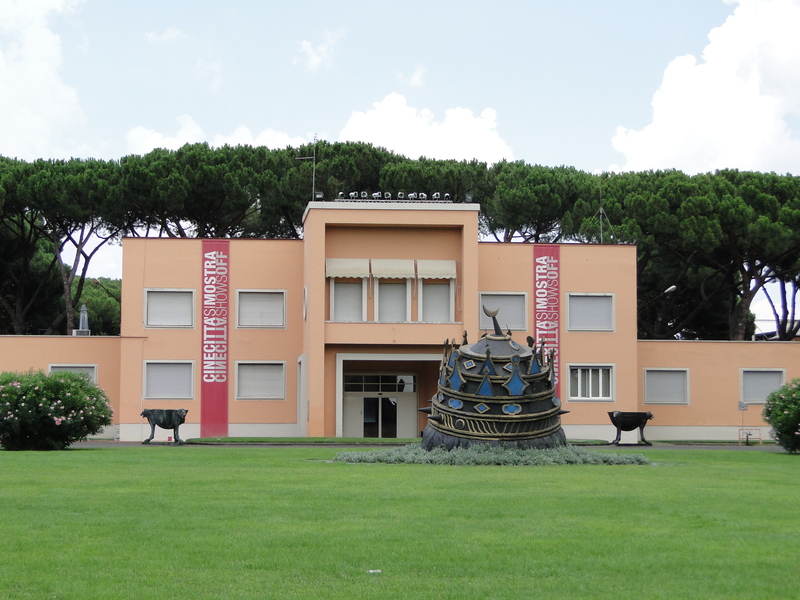 For most Romans, Cinecittà means Fellini. He filmed most of his masterpieces there, including a great part of La Dolce Vita as well as Fellini’s Roma, and spent so much time in the studios that he had his own private apartment on one of the sets. Today, one of the main pavillions is named after him. It is probably the most beautiful one with a cosy private viewing room and amazing movie-star like bathrooms. Cinecittà was created in the 1930s by Mussolini who had ambitions to create a national film industry, following the trend developing elsewhere due to new cinema technologies. He identified a vast area on the via Tuscolana, which was in the middle of the countryside at the time (it is today part of the suburbs). That way, the studios had space to film outdoor and potential to expand. He never saw it take off, however his plans succeeded some 20 years later, when a new generation of filmmakers, such as Roberto Rosselini, took Italian films to an international audience with their so-called new realism movies. Cinecittà nevertheless kept most of its 1930s architecture and layout. During WWII, the studios became a shelter for refugees. 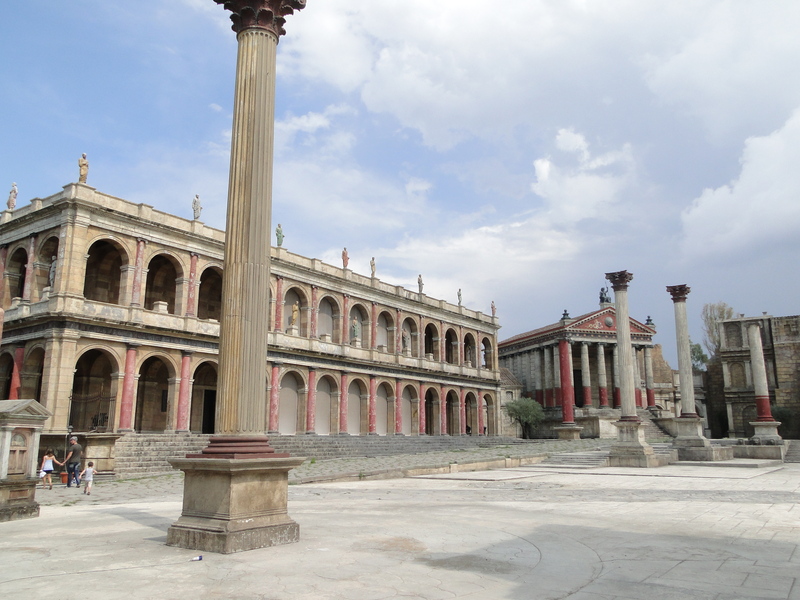 Today, Cinecittà studios are used mainly for large TV productions, the most recent one being the British-Italian historical drama ROME. The set is still there, ready for a follow-up series and can be visited during the exceptional opening of Cinecittà this year on the occasion of the 150th anniversary of the unification of Italy. Walking around the plaster board set, one has the illusion of walking through the streets and piazzas of ancient Rome. 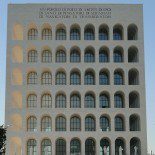 This entry was posted on August 10, 2011 by Salambo in 20th century Rome, Arts and culture, cinema, English, Rome's neighbourhoods and tagged cinecitta, cinema, Dolce Vita, Fellini, Rome, studio 5, via tuscolana.